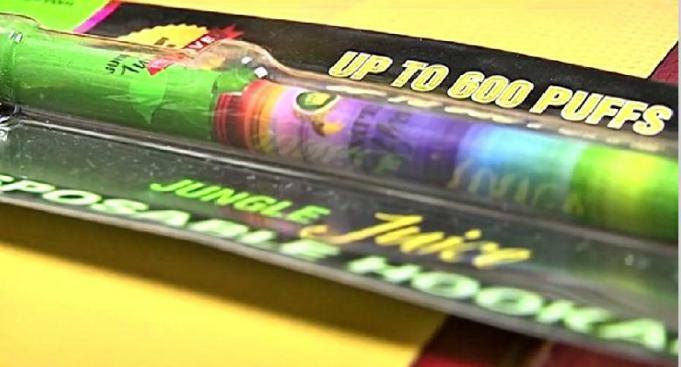 The principal of a local middle school is warning parents and fellow educators of a new trend among teens -- hookah pens. They don't contain nicotine or tobacco, but function much like electronic cigarettes. The pen vaporizes a liquid and is then "smoked" like a cigarette. Samuel Ogle Middle School Principal Mark Covington told News4 he noticed some of his students using the hookah pen last month. "Because they operate almost identically to the e-cigarettes that do contain nicotine, in my mind, it's the same thing," Covington said. The Centers for Disease Control say more teenagers are using alternative tobacco products like e-cigarettes and hookah. The pens are sold at convenience stores in bright packaging, resembling fun-colored pens that could draw in younger crowds. Covington sent a letter home to parents, warning them of the up and coming trend. The pens cost around $10 each.